Marlys Hanson is a Managing Director of SIMA International based in California. Her practice focuses on consulting with organizations to put talent management at the top of the agenda, coaching managers for their critical roles in developing talent, and preparing individuals to better manager their careers. She is author of the book Passion and Purpose: How to Identify the Powerful Patterns That Shape Your Work/Life, and is a 30+ year seasoned guru of the System for Identifying Motivated Abilities assessment process. High Quality Career Discussions Demand Time to Think: Successful career conversations require planning and thoughtful, in-depth preparation by employees and supervisors. This is a true meeting of and for the minds, a sharing of views and an interaction with shared responsibility for outcomes and action items. Not 50%-50%, but 100%-100%. Time to think before, during and after the career discussion helps to steer away from just checking it off as an annual task, merely completing a form, or being mired in problem resolution. Think opportunity discovery! Eight Strategies for Career Development: A recent study in major organizations revealed eight key experiences that give people an edge in today’s competitive career environment. If you are not ready to lead these efforts, start by taking the initiative to get informed and involved, and partner with others who already have these experiences in their career portfolio. Examples: a) Creating and applying leading-edge technology, b) Understanding diverse cultures and markets, and c) Managing risk and liability. You may be surprised to find out what is NOT on the list. Career Development: If It’s to Be, It’s Up to Me: Career development is a shared responsibility between the organization, its supervisors and the employee. But, it all starts with the employee holding himself/herself accountable to articulate interests and passions relevant to the organization’s strategies and business needs. Neither can supervisors read your mind, nor do they have a crystal ball view of all future options in light of how business changes. No one knows you better or what you desire than you. Building Blocks of Career Stages: Researchers have studied the differences between “stuck” and “moving” employees, finding how employees who continue to “move” in their careers also appear to meet their organization’s expectations for development. We discuss a four-stage Career Model comprised of phases of development: Dependent Contributor, Independent Contributor, Idea Person/Mentor/Project Leader or Supervisor/Manager, and Senior Technical Contributor or Manager/Senior Manager. Employees who continue to grow increase their value, which spells o-p-p-o-r-t-u-n-i-t-y. They most often perform well and had good experiences in each stage of their career. 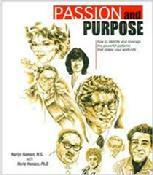 Identifying Your Passion and Purpose: People love to talk about what they love to do. Therein lays the basic premise of the System for Identifying Motivated Abilities – helping people tell their stories of success across their lifetime to identify a framework within which to make career decisions. The founder of SIMA, Arthur Miller, stresses how each person has innate abilities and motivation to achieve a certain unique purpose. Our equality does not lie in the nature of our talents, but in the fact that we each are endowed with our own unique passion and purpose. Great managers realize that each person is gifted differently. They do not bemoan these differences, but rather capitalize on them to help each person become more and more of who he is. Why Do Smart People Make Dumb Job/Career Decisions? : Job mismatch abounds, starting from college careers stretching from 4 to between 5.3 and 5.7 years (at quite a cost! ), to only 29% of employees in a recent Gallup poll saying they are truly engaged and passionate about their jobs. We are just too close to ourselves, and are often bombarded with the myths that we can do anything we set our minds to, or from the organizational standpoint, shape people into what we need them to be – and expect them to “stay there”. Most people do not realize they have the power of innate motivation from which to set a successful career and life path. Being “Best Fit” for the Great Speed-Up: The average hours worked by employees continues to climb in our competitive, global marketplace, with employers demanding accelerated output and high quality productivity – without necessarily an increase in pay. The Great Speed Up requires new employees regardless of function, place in the organizational hierarchy, or years of experience to hit the ground running. Time is often restricted for interaction with supervisors and mentors. “Job fit” at the onset is all the more important. Being “best fit” for your job allows you to be “best fit” in your job. Making Informed Career and Job Decisions (I): Being in the wrong job or career is like trying to walk in the wrong size shoes – it hurts and you can’t get anywhere fast. With our living in the Century of Lifelong Learning, starting with an understanding of how we are truly motivated can mitigate falling prey to the myths and misconceptions of career decision-making. We can avoid the pitfalls of social pressure, “trendy” jobs, and the trap of thinking we must grow where we are planted, to instead pursue value-added opportunities that come to us naturally. Making Informed Career and Job Decisions (II): An informed job or career decision requires detailed insight on both the person and the opportunity – what are you wired to be and do, your skills and experiences, matched to what the REAL not necessarily advertised job description. Research shows how subject matter match and at least 70% overlay to circumstances and environment provide a framework for successful job fit, and for those who take initiative, the opportunity to craft a best fit with their supervisor.